Sophistication is the most admired and sought quality nowadays when it comes to decorations. Even the slightest thing matters now and the simplest things are where personal touches most appear. 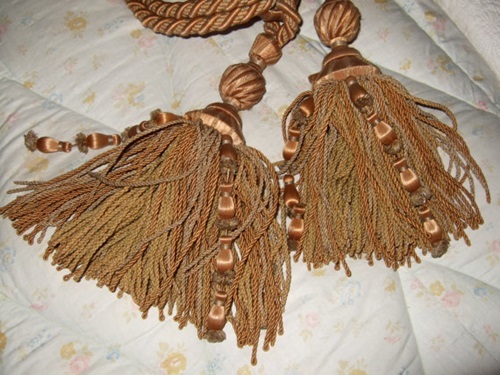 Among simple things that make huge difference in complementing the look of any room are the tiebacks, tassels and fringes. They are what can be considered the ‘cherry on top’ regarding the final finishes for curtains and room dividers, couches, and lampshades. They are the wow factor that would take elegance in your house to a whole new level. They are considered to be royal touches of elegance, but will you have to stick to a single design? Not at any time you will have to settle for colours or types that you do not favour due to the wide varieties of tiebacks, tassels and fringes offered at online stores and fabric shops. 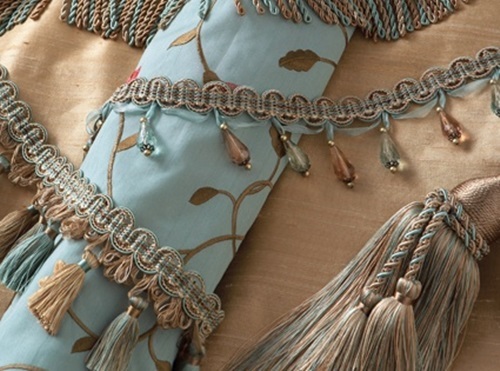 Most popular curtains with specially designed tiebacks are called Dali topaz, Lovebird red, Flecco, Falcon and others. These options are available in a wide variety of colours ranging from scarlet, turquoise and aqua to green and orange. Since, they already come in various types, some of the common types for tiebacks and tassels will be the lip cording and gimp braids. 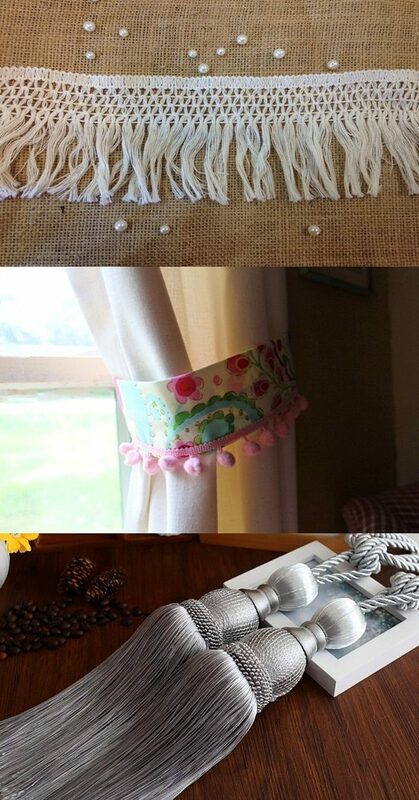 Unique styles for tassels and trims also include brush fringe, confetti fringe, flower trim and eyelash trim. Raymond waites, Sandringham, Oxford and Marquise among others are the considered the most wanted and recommended designs. Nothing is out of your reach anymore, all you have to do is just choose the colour and design which best fit your furniture style. However, if you got too confused trying to manage what colour to choose or what design to go with, you need not worry as these brands have specialised artists who act as advisors for clients who seek the latest fashion.